Just announced! 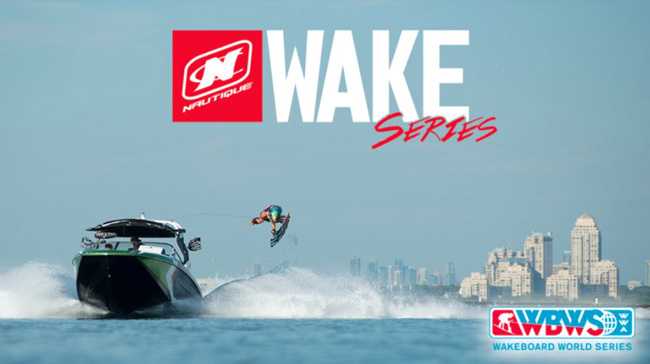 The Nautique WWA Wakeboard World Championships, presented by Rockstar, will return to Toronto, August 24-27 at the Ontario Place West Channel during the Canadian National Exhibition. The WWA World Championships are the fourth and final stop of the 2017 Nautique Wake Series, wakeboarding’s premier global wake tour. The 2016 Nautique WWA Wakeboard Worlds in Toronto were one of the biggest to date! Mark your calendars now, so you don’t miss the 2017 edition of the Worlds which promises to build on the success of last year’s event! The World Wake Association (WWA) and Nautique Boat Company are proud to announce the return of the Nautique Wake Series for 2017 with four action-packed events worldwide. Exclusively towed behind the industry-leading Super Air Nautique G23, each Nautique Wake Series event represents the pinnacle of wakeboarding competition in conjunction with the WWA Wakeboard World Series. Each year, the Nautique Wake Series attracts an international field of top pro athletes and competitors in all WWA amateur divisions in a family friendly environment that puts riders first. The competitive bar is raised at every event as riders continue to push the progression of wakeboarding behind 4-time Wakeboard and 3-time Wakesurf Boat of the Year, the Super Air Nautique G23. Pro Men, Pro Women, Jr. Pro Men and Pro Wakeskate athletes compete throughout the season with over $30,000 (USD) in additional overall prize money on the line for the overall Nautique Wake Series title. It all comes down to the final stop with overall and world champions crowned at the Nautique to the final stop with overall and world champions crowned at the Nautique WWA Wakeboard World Championships in Toronto, Canada. “Competitive wakeboarding doesn’t get any better than the Nautique Wake Series. The best riding of the season goes down behind the Super Air Nautique G23 and the entire wakeboarding community comes together at each stop around the world. It’s an awesome experience for everyone and I’m looking forward to another year of amazing crowds and big wakes in 2017,” said Team Nautique athlete Mike Dowdy. The 2017 Nautique Wake Series kicks off on the largest international stage in watersports with stop number one at the Nautique Moomba Masters in Melbourne, Australia. Stop two will take place in the heart of wakeboarding for the Nautique Wake Open in Orlando, Florida. The Nautique WWA U.S. Wakeboard National Championships returns to Acworth, Georgia for stop number three and the fourth and final stop will take place in Toronto, Canada for the Nautique WWA Wakeboard World Championships during the Canadian National Exhibition. “Nautique is thrilled to kick off the third season of the Nautique Wake Series. Recognized as the premier series in wake, the family-oriented format is dedicated to growing the sport including Amateur, Junior and Pro divisions pulled by our industry-leading G23,” stated Nautique President Greg Meloon. G23. The Nautique Wake Series is the only event series that gives riders of all ages, gender and skill level the opportunity to compete at an elite level.